Trimming goat hooves can be a time-consuming process, typically involving hand shears and a lot of hard work. Trimming time is especially demanding for owners with significantly large herds. But now the Hoof Boss is here. With our easy-to-use goat hoof trimmer, you can trim goat hooves in a safe and efficient manner, with less strain on your hands. Using hand shears to trim a goat’s hooves takes up a considerable amount of time, and for those with hundreds of head, this process is seemingly endless. 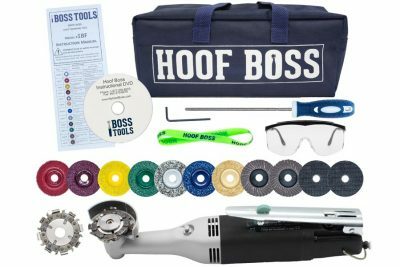 The Hoof Boss has been specially designed to eliminate the need for hand shears by providing an array of abrasive discs and an 8-tooth chain disc for our electric hoof knife. 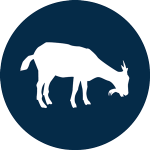 Select a disc that is best-suited for your animal – fine grit for miniature goats, up to the 8-tooth chain disc for the most difficult hooves and large numbers of goats. Using hand shears on goat hooves leave uneven and jagged edges. These jagged edges can increase the buildup of dirt and debris, which can cause bacteria buildup and foot rot. With the Hoof Boss, there’s no need to worry about jagged edges. Our revolutionary tungsten carbide abrasive discs effortlessly move across the hoof, leaving behind a smooth and uniform surface. 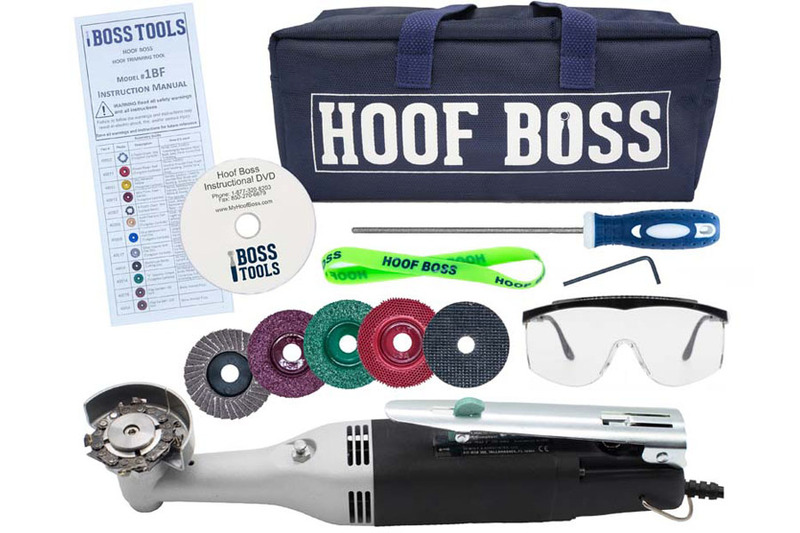 In fact, our customers frequently praise the Hoof Boss for providing a far better finish than hand shears. One of the foremost drawbacks to using hand shears or traditional hoof clippers for trimming goat hooves is the pain that it can cause in the hands. And this pain can grow exponentially with the number of goats. The Hoof Boss’ compact and lightweight construction means that it can be comfortably handled for hours, making it unlike any other hoof knife you’ve ever used. 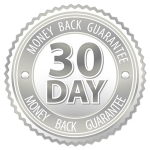 It eliminates the stress caused by the continuous use of hand shears, which is especially important for those who suffer from arthritis or carpal tunnel. The Hoof Boss is much easier to operate than hand shears, making it safer for both the goat and the operator. Hand shears make it difficult to control how much hoof is being trimmed, which leads to bleeding cuts on goat hooves. 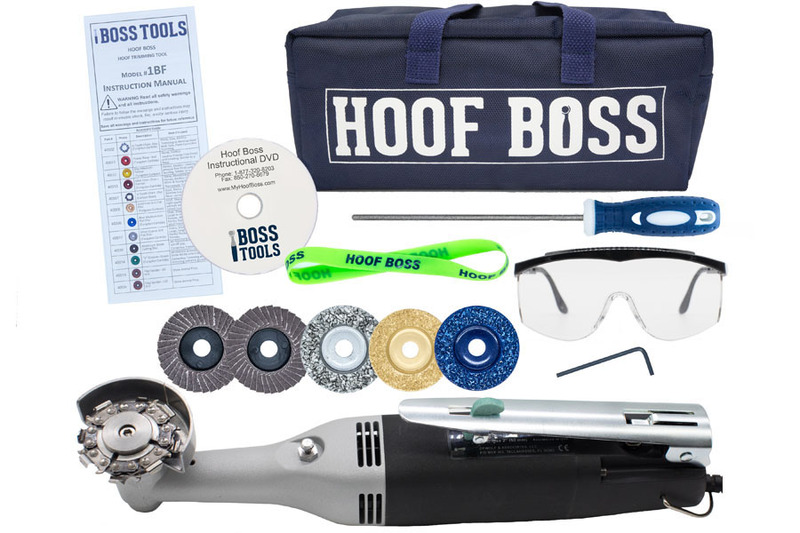 But the Hoof Boss handles easily, eliminating the risk of quicking the hoof. Veterinarians and customers alike tell us that the Hoof Boss is the only tool on the market that can get goat hooves perfectly level for standing. Not only does this help promote better health for the goat, but it also gives a significant advantage to those using the goats for show purposes, such as in 4-H competitions and other events.